SANTIAGO, Chile — As a Latin American leader among nations in the Organization for Economic Cooperation and Development, Chile serves as a role model for a continent struggling with poverty and economic inequality. For Chile, environmental hazards including earthquakes, tsunamis, volcanoes and pollution add another challenge to overcome. However, Chile’s innovative resilience to potential natural disasters has led to a breakthrough design – termed ‘incremental housing’ – which could be replicated in other nations struggling with poverty. Developed by architect Alejandro Aravena and his company Elemental, incremental housing essentially refers to selling half-built houses. Funded by the Chilean government and major companies in the area, houses come with four completely finished rooms, but only an outside frame of four adjacent rooms. The completed rooms comprise two bedrooms, a kitchen and bathroom, which is enough for families to immediately move in and live comfortably. They are then solely responsible for completing the house as desired and as their funds allow. The need for updated housing projects arose out of a major tsunami that struck the city of Constitucion in 2010. Residents struggled to rebuild following the event because many were too poor to do so. Further, the government also wanted to consider how close to the shoreline Constitucion was originally located in order to lessen future susceptibility. Two solutions emerged: an expensive corporate-lobbied seawall or Elemental’s plan that was attentive to local desires. Aravena’s design won out because of what he describes as a three-part strategy. First, he believed it was easier to work with nature by planting trees as a buffer closer to the coast rather than to try to work against the environment with a seawall. Second, he emphasized that buildings themselves should be greener based on his work with previous projects in Switzerland and at Harvard. The third component of Aravena’s blueprint is the concept of incompleteness. Aravena has so far found that this methodology is extremely beneficial for the poor. Because they are technically incomplete, homes are sold at the very cheap price of $700. Buyers also have the advantage of building equity as the homes are finished. Lastly, residents reportedly enjoy the unique sense of community and individuality arising from identical outer shells but personalized interiors. From an urban planning perspective, areas with high movement into cities can use incremental housing to provide an affordable alternative to slums with secure land rights. Incremental housing provides room for families to expand, avoiding the would-be health concerns associated with overcrowding. The concept can be transferred to other types of buildings such as schools, and it can allow city planners to envision neighborhoods before they are fully complete. 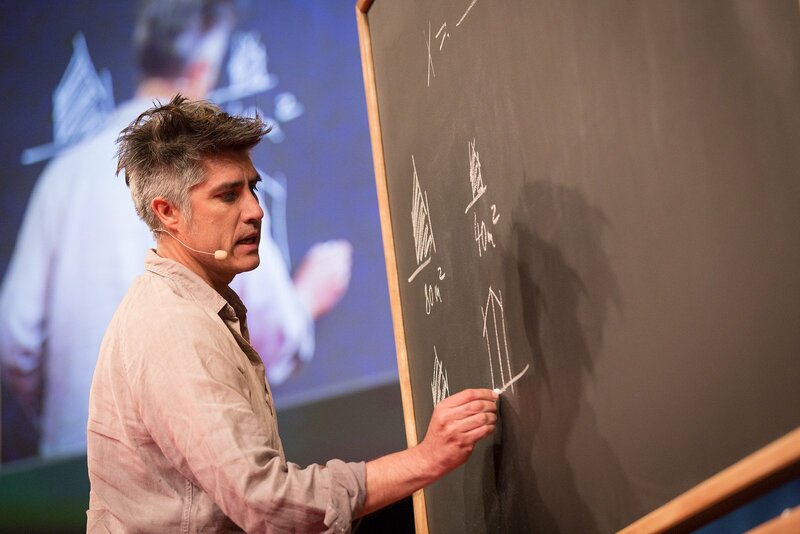 As a result of success, Aravena was awarded the Pritzker Prize in 2016, the architecture equivalent of the Nobel. He will continue several incremental housing projects throughout Latin America and now serves as an advisory member of related companies across the world.